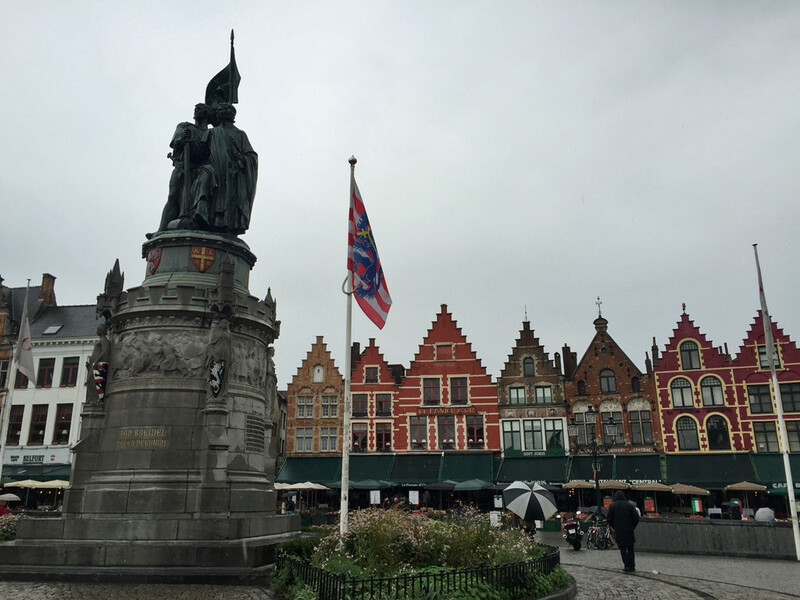 When we arrived in Brugge (or as others like to call it Bruge) after our Trappist Day fail we were welcomed with cold and rainy weather which is typical for Brugge and West Flanders. Our first night we had an amazing dinner at LESS and then retired for the evening. We work up to more cold and drizzly rain. While not exactly ideal conditions for sight seeing, we grabbed an umbrella and braved the weather. We started our day with a boat tour of the canals. This was without a doubt the worst decision we made on our trip. About 5 minutes into the canal tour the drizzly rain became sheets of down pouring rain. It was a 45 minutes of wiping water from my camera as my pants acted as a huge sponge for the boat. Of course 5 minutes after we disembarked it stopped raining. Oh well. We spent the rest of our day exploring Brugge on foot. 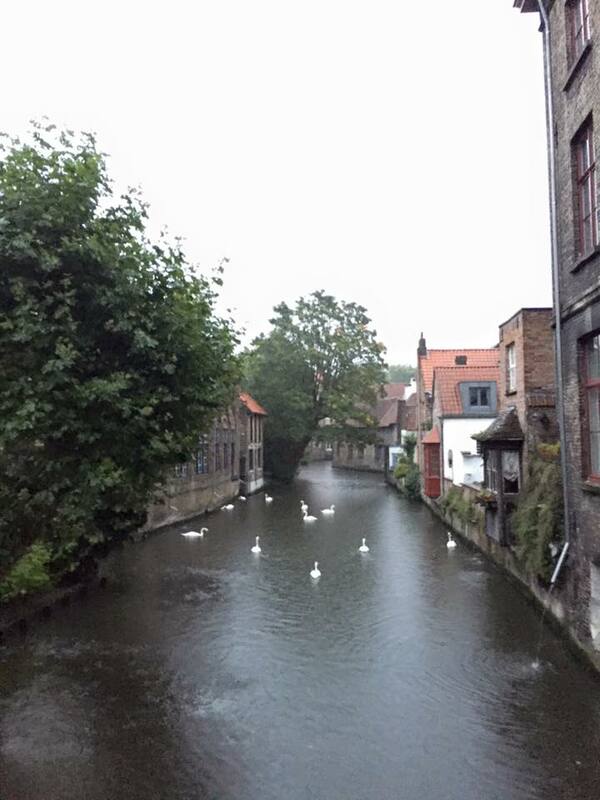 Brugge is an incredibly beautiful city distinguished by its canals, cobbled streets and medieval buildings. It’s old Europe at its finest. 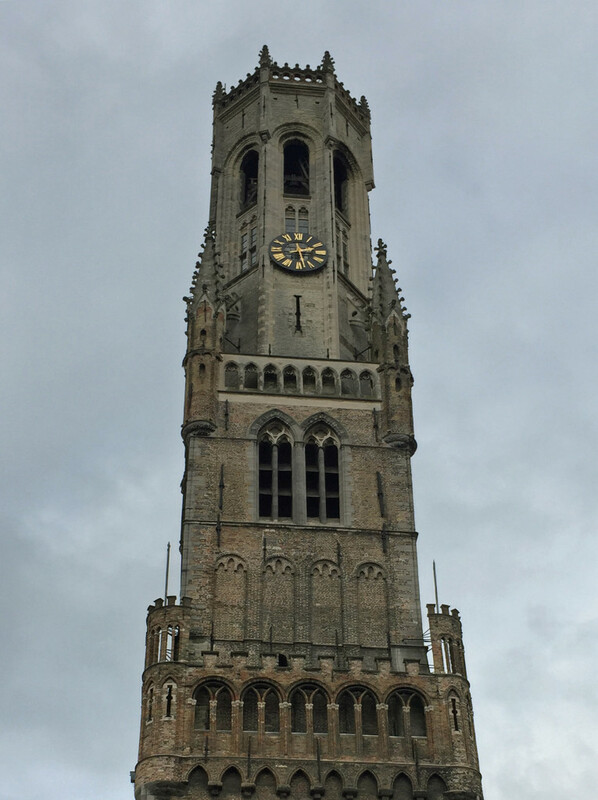 We climbed the Belfort which houses a carillon with 47 melodious bells. 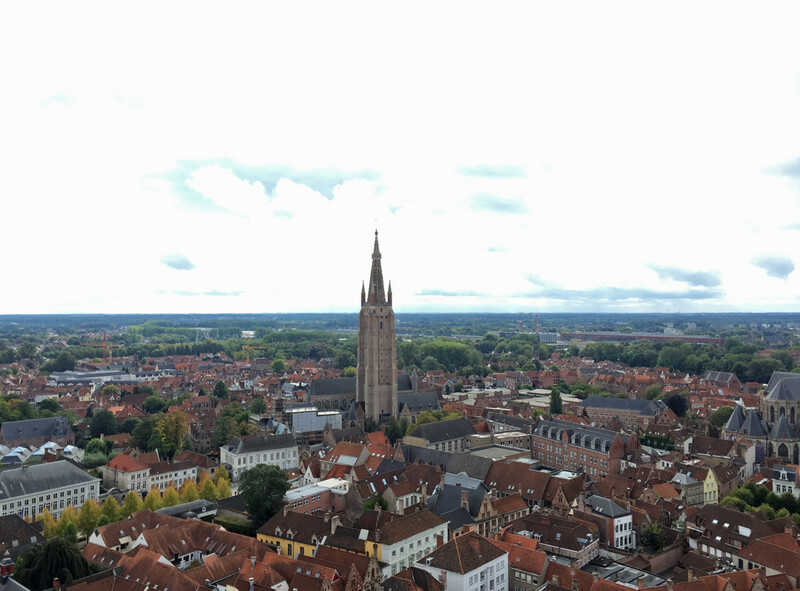 Lots of steps but totally worth it for the panoramic views and to both see and hear the bells. We wanted to tour the Frites Museum but sadly it was closed (no comment) when we arrived. The rest of our time in Brugge was spent eating and drinking and just taking in the city. 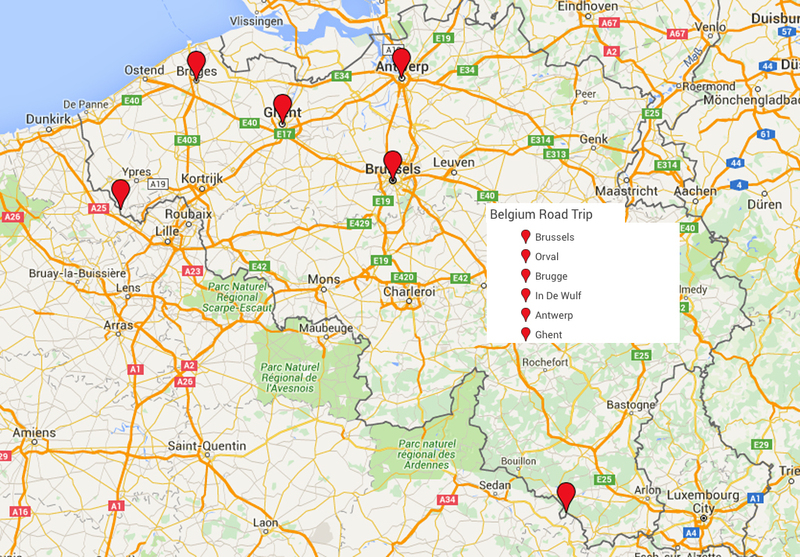 We woke up the following morning with sunny skies which were perfect for our drive to the French Belgium boarder. Our destination was In De Wulf for both dinner and an over night stay. When we booked our trip, Charlie and I we were disappointed to learn that Westvleteren would be closed. We also attempted to make reservation to purchase beer, we failed. Hoping for a miracle, we drove to the abbey but we were turned away. No beer for us…oh well, next time. Disappointed, we tried to visit a few other breweries in the area. TRY being the operative word. They were ALL Closed. (again, how do they stay in business?). 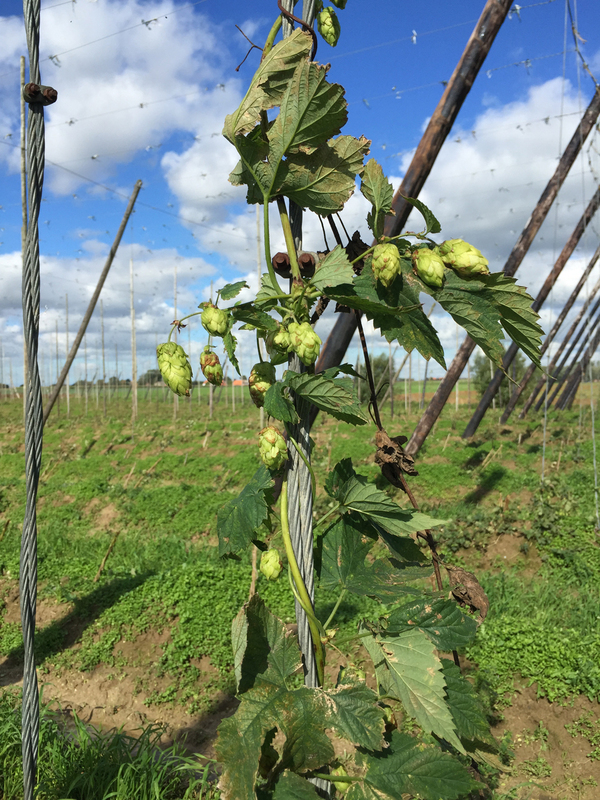 At bit frustrated (again) we headed to the town of Popenridge, home of the Hops Museum. It’s not a large museum but it is informative and worth the hour to tour. We then decide that we would try to tour one last brewery, St. Bernardus. After what seemed like an impossible conversation with the people who work there, we were told that we could join an existing tour that was starting in a few hours. So we headed to “town” for a beer. Watou is the size one Chicago city block. It has a lovely restaurant that commissions a beer from a brewery (not open that day) down the road. 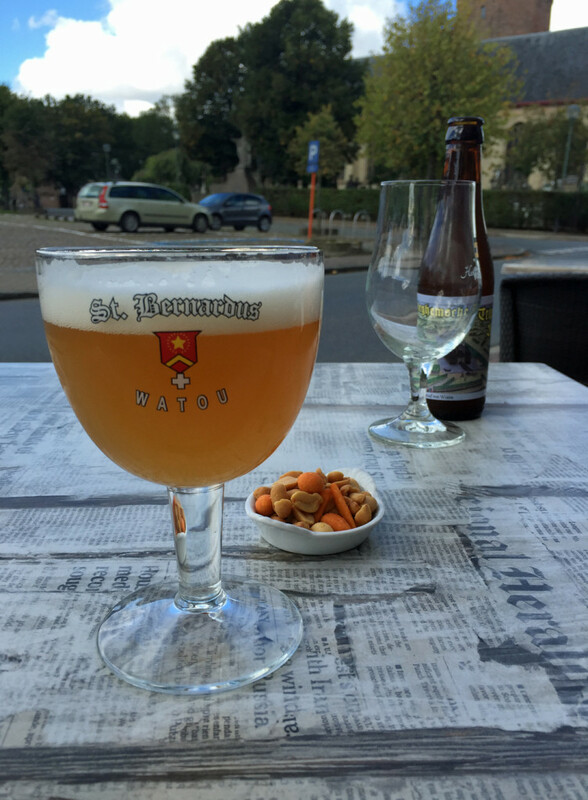 We enjoyed our beer and headed back to St. Bernardus. 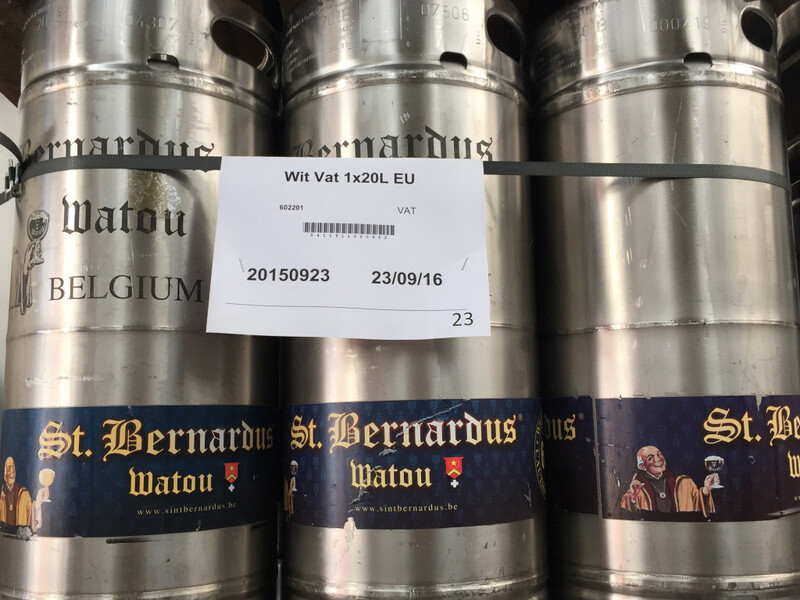 The story of St. Bernardus has ties to Westvleteren. 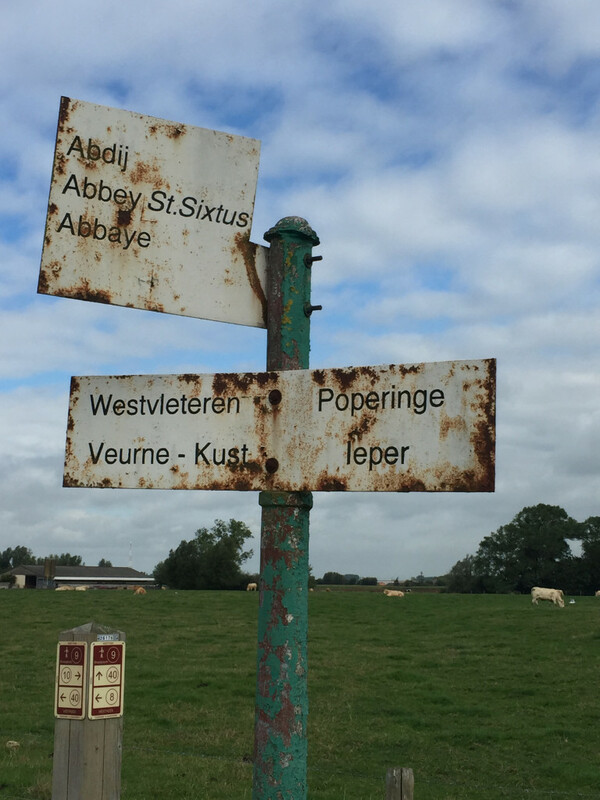 According to their website and confirmed by our tour guide, shortly after the Second World War, the Trappist Monastery St.Sixtus in Westvleteren was looking for somebody to commercialize their beer. St.Sixtus licensed the brewery and the brew master from Westvleteren, Mathieu Szafranski became a partner in the brewery. He brought with him the recipes, the know-how and the St.Sixtus yeast strain. 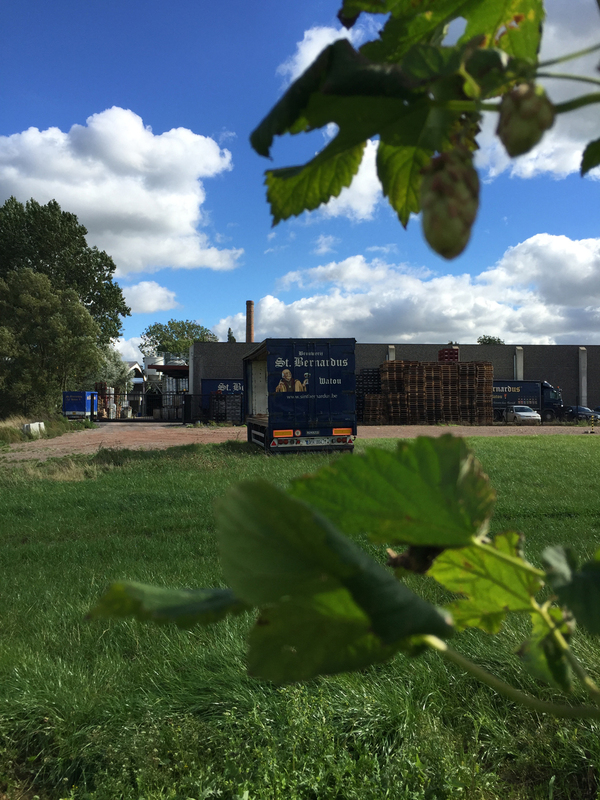 The brewery started selling the trappist beers under the brand names Trappist Westvleteren, St.Sixtus. For 46 years they brewed and commercialized the beers, while the monks at Trappist Westvleteren, St.Sixtus continued to brew for themselves. In 1992 the license came to an end and since then St. Bernardus has been brewing the same beers, with the same recipes, but now under the brand name: St.Bernardus. So the million dollar question, which is better? Check out my blog post today that compares the two head to head. The tour at St. Bernardus is a guided tour of the modern brewery. You will see the fermentation room, bottling line and other parts of the brewery. It concludes with a tasting. Included in your tour fee is one bottle of the St. Bernardus 6, 8, 12 and triple along with a commemorative glass. Do make sure to call ahead. We lucked out, but you should technically have a reservation. Feeling accomplished, we made our way to In De Wulf for dinner which was amazing, both the hotel and our dinner. I’ll be recaping of our dinner (and breakfast) in a special blog post. It was that terrific! Be sure to come back tomorrow to read out my head to head tasting of Westvleteren and St. Bernardus 12. On Friday, I conclude with the last two cites we visited Antwerp and Ghent.